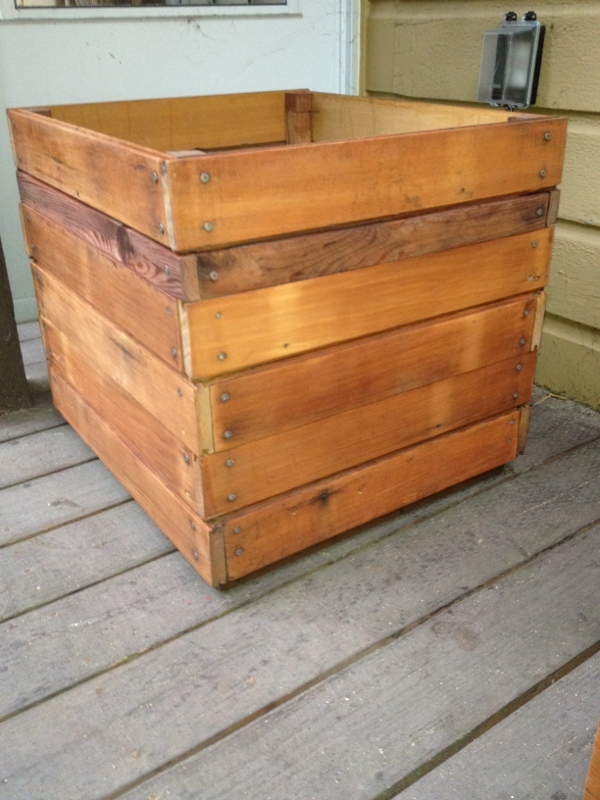 Using reclaimed wood is another way of incorporating an ethic of no-waste into your garden. 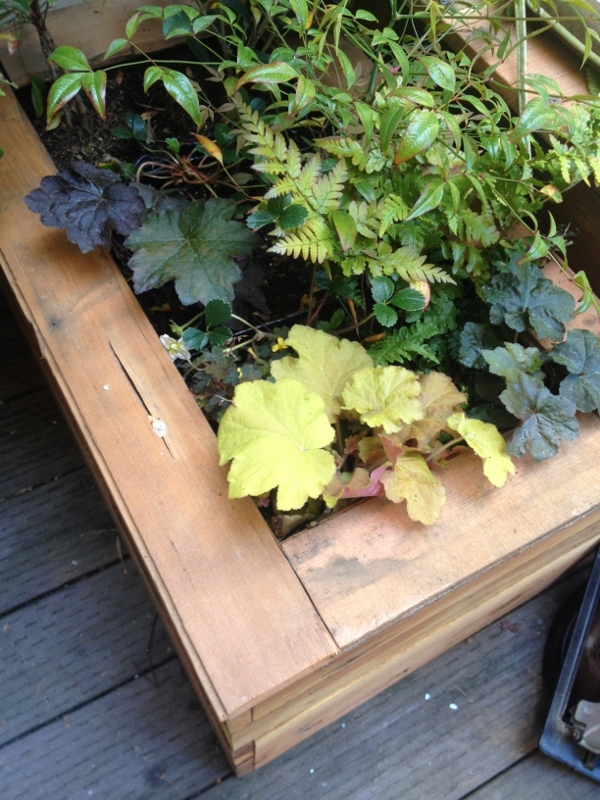 The look of planter boxes built from reused wood can span the spectrum from super rustic to more chic and sleek. One of our favorite places, Building Resources — San Francisco’s treasure trove of reused construction materials – made this box of old doors. This, obviously, falls under the “super rustic” category. Keep in mind that using large pieces of wood, just as they are, can be a good strategy because it means assembling the box is a relatively quick and simple project. 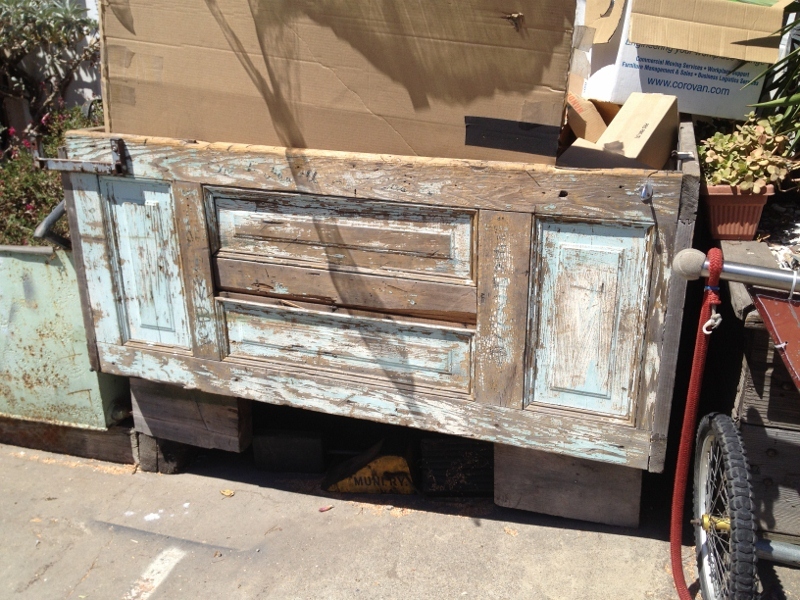 Needless to say, there are tons of old doors out there that can be diverted from the landfill and creatively reused. In a more stylish garden, it’s typically best to have only one or two really rustic elements — more than that begins to transform the design into something haphazard and messy (which is the antithesis of stylish, unless you’re into that “carefully-cultivated messy look”, of course!). Reclaimed wood still has a valid place in sleeker gardens, however. For example, Elisa sanded and stained slender pieces of reused wood to make these container covers. The thinner wood would rot quickly if soil was placed directly in them, so instead the plants are kept in the plastic pots and just set inside the wooden boxes. The boxes are a perfect disguise: You can’t even see the ugly plastic containers.